Our Kill Devil Hills Hotel offers a variety of hotel rooms suited for your Outer Banks vacation needs. 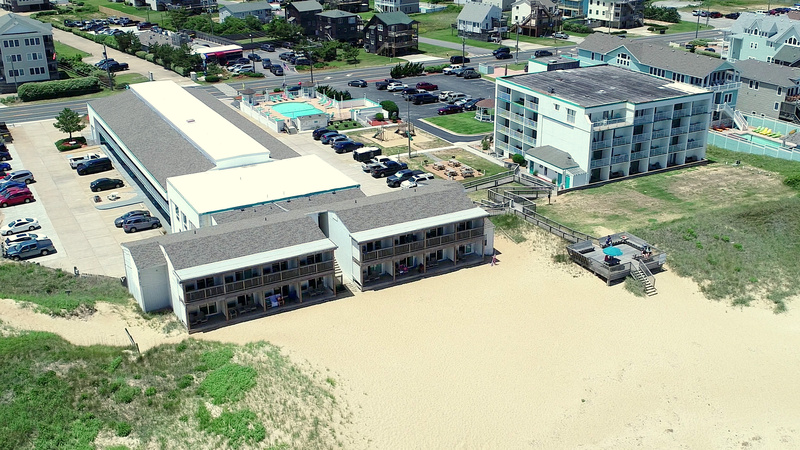 All located just steps from the widest beach in Kill Devil Hills, Outer Banks, at Milepost 10, centrally located next to Nags Head and Kitty Hawk and all area attractions, restaurants, and more. Our spacious rooms accommodate families, couples groups of all sizes, including select adjoining rooms and efficiencies with kitchens. All hotel rooms are non-smoking (we have dedicated outdoor smoking areas). We have dedicated pet friendly rooms available. Four Seasons Building: $$ (ALL RENOVATED in 2019) and elevatored, most with ocean views. And rates vary by season; with July/August typically the most popular months, followed by June, Sept, and May.